According to recent Nielsen research 1 in 4 people has posted an image or video of an outdoor ad on Instagram. 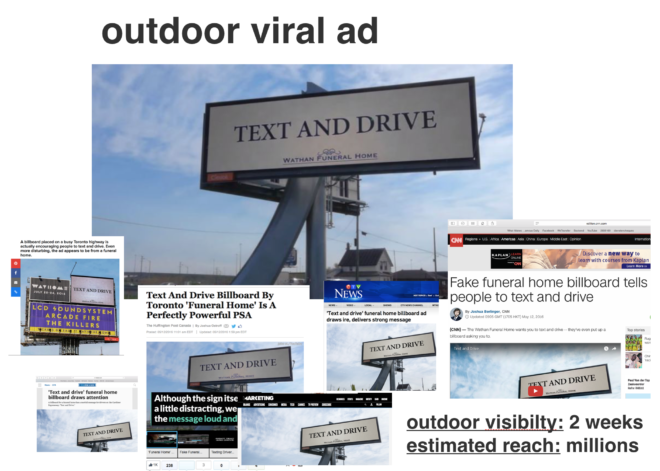 While people taking pictures of outdoor media isn’t new, it’s the first time we have solid numbers on the interaction between social and outdoor media and the added value of building campaigns around social from the get-go. Nielsen’s research also confirms what we’ve been observing and incorporating in our work for years: outdoor media is as vital as ever and social media has only made this form of advertising even more relevant. So thank you, Nielsen! 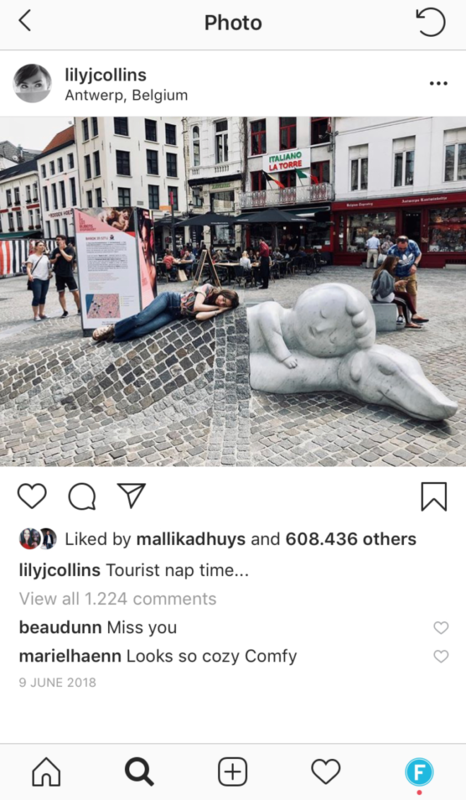 But how do you create relevant outdoor campaigns that do not only add value to the (outdoor) spaces they inhabit, but are also Instagrammable or have online potential? To help you with this, we’ve compiled a list with 5 tips/insights that should help you with making the right choices when creating a social-proof outdoor campaign. We receive so many stimuli on social media, that our minds have been rendered numb. This means that most ads are simply ignored or only subconsciously registered at best. The key to getting people’s attention is simple: don’t beg for attention, but make stuff that deserves attention. 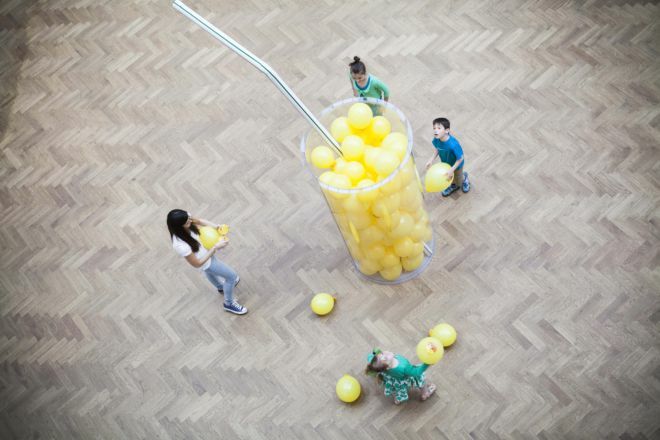 Put differently: turn your outdoor ad into an experience. People are constantly looking for opportunities, to create their own content for their own social media channels. The people are your medium. Every individual is a micro or macro publisher that has its own audience, and their audience is hungry for fun content. So give them what they need: content inspiration and photo/video opportunities that is fun and relevant for their own social media. 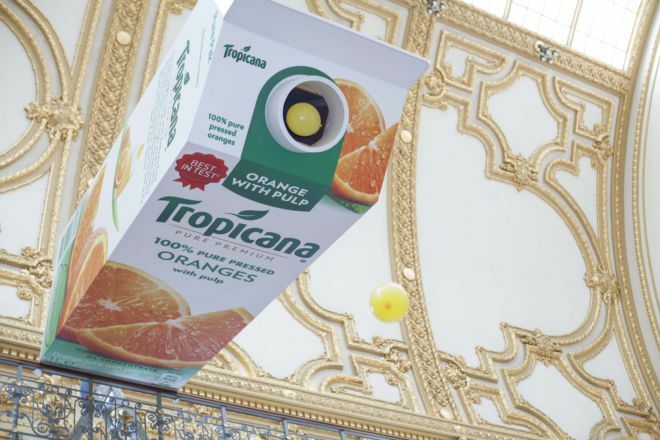 Instead of pulling up another generic billboard we worked together with Pepsico to create a gigantic version of their orange juice bottle that traveled all over Belgium during the summer. 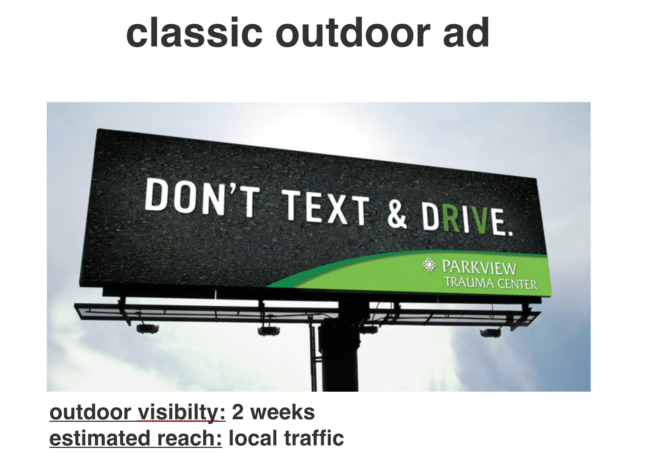 You can create a classic outdoor campaign that is ‘visible’ for 1 or 2 weeks. One problem. After one week your message is gone and your budget is gone. Unless you are a big multinational that needs to bomb the place with a generic message, be smarter about it. Invest your budget instead of spending it. 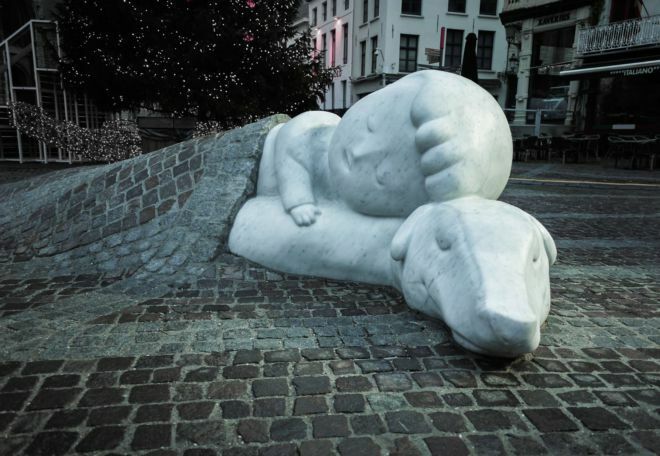 The statue of Antwerp’s most iconic duo Nello & Patrasche we realized for the city of Antwerp, was so iconic and impactful that the tourism office of Antwerp barely had to lift a finger on social media. 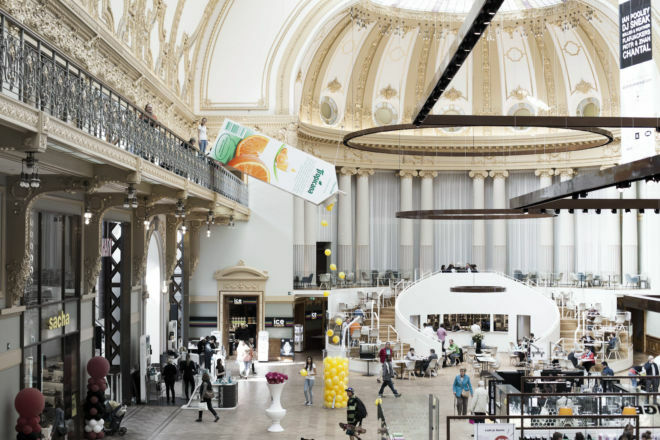 Instead, 99% of the content online about Nello & Patrasche is user-generated. Even to this day millions of tourists who visit Antwerp every year eagerly want to post a picture of Nello and his dog Patrasche. Putting a statue in front of one of the most famous cathedrals in the world was a baller move, but justified though since the story of Nello & Patrasche is insanely popular among Asian tourists. To conclude, create a long-lasting landmark. Google Nike+basketball court+Paris and you’ll see another nice example. You always need a (content) strategy, but sometimes that strategy involves your brand not posting a goddamn thing. Just launch an idea in the offline world and see what happens. This works even better in political correct times or an overly sensitive society. You’re never going to redraw the map if you don’t cross the line every now and then and do something without explicit permission. It’s what we did with our Text Walking Lines and it’s something we’ll continue to do so when the opportunity calls for it. 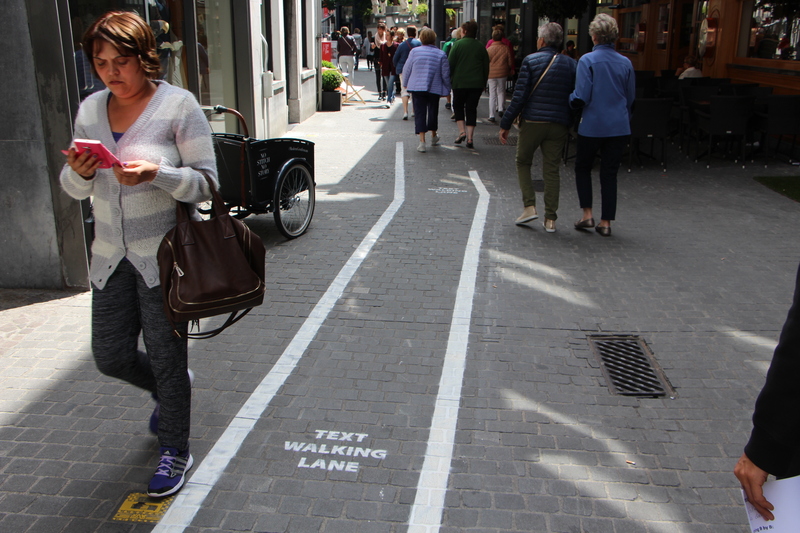 These were just some white lines painted on the street, but they sparked a worldwide PR campaign discussing the relevance and our zombie-like behavior when it comes to smartphones. The strategy? Let’s find out where Belgium’s biggest social influencer lives and put some text walking lanes in front of her door. This one is pretty simple. Whatever your brand guidelines are or even when the favourite colour of your marketing directors kid is beige, just add some colour to the grey spaces in our world. 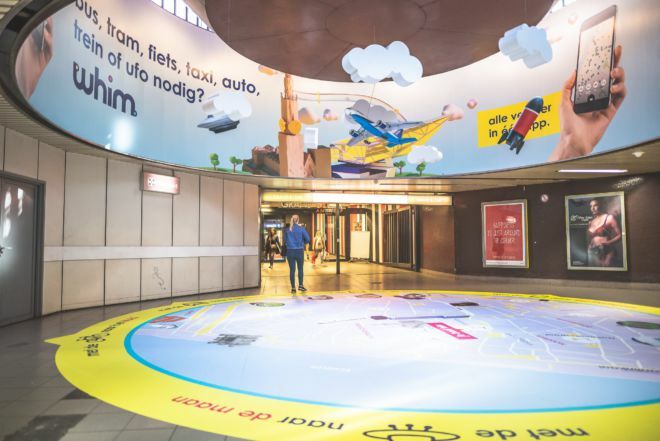 For the Finnish Mobility Service Whim we gave city subway stations a make-over and turned grey taxi’s into colorful ‘Wheels of fortune’. People love taking out their smartphones and sharing the colorful and fantasy-filled places they visit. This tip does not need an example. You like wild ideas too right? Or do you prefer ideas that just pass by in silence? Creepy deadly silence. Wild ideas get more attention, because people love wild ideas. They love discussing them, they love hating them, and most of all, they love sharing them. Wild ideas are also one of the biggest thumbstoppers in online content. Here’s a nostalgic example. 6 years old, which is ancient in the online world. 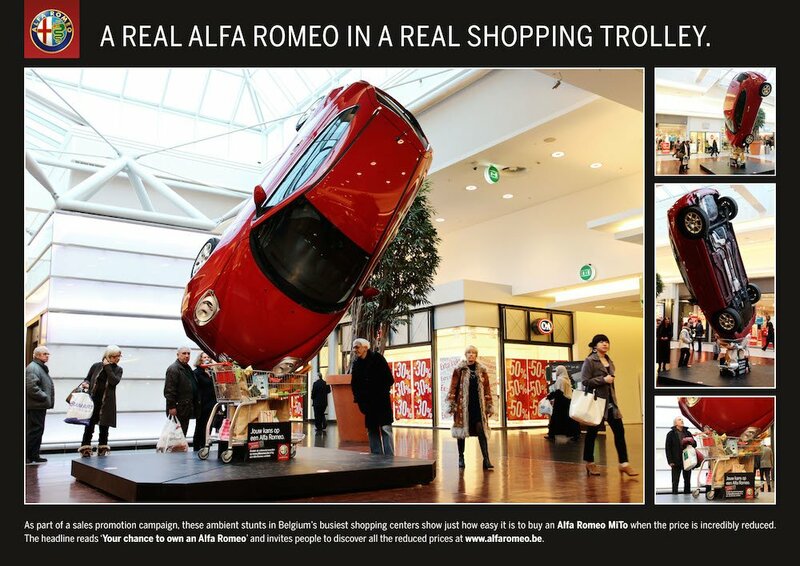 For Italy’s iconic Alfa Romeo we created an optical illusion to show that it’s really easy to get a good deal on the new Alfa right now. So we put it in a shopping cart, for real. It was heavily photographed and even NY times and the Economist wrote articles about it. 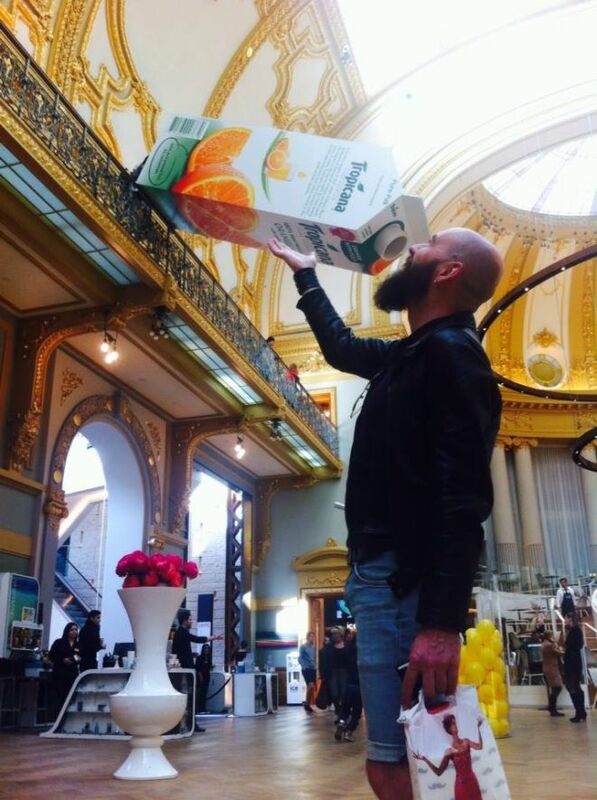 It was also the cover picture of Belgiums biggest ad magazine. It’s the most important asset to a good offline online campaign: Always make sure your audience experiences your brand/campaign brand-in-hand. If your brand is not relevant or not part of the idea, your audience wil ignore it and probably not even include it in their video/photo or whatever format they use to entertain their own audience. If you want some more tips, or you want a offline online campaign: brief your agency, or us, to come up with a good idea first.